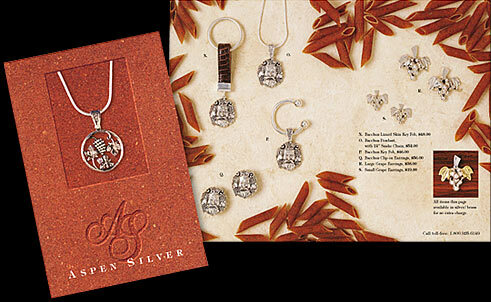 Aspen Silver markets its handcrafted Mexican jewelry through a direct-mail catalog. This catalog is often the only opportunity the company has to establish itself in the minds of consumers. Ajax Design used Jason Dewey's unconventional photographic style to bring color to a largely monochromatic subject, and reinforce the whimsy and creativity of Aspen Silver's artisnas.